Often we take for granted the ability to have great mobility in our shoulders. We use our shoulders for the simplest of tasks, such as getting dressed to go out to more complex tasks needed to work and sustain a livelihood. With proper use and care, most shoulders problems are temporary and easily treatable. It is repetitive and frequent motion or injury that can affect the ability to properly use your shoulder area and cause pain. The shoulder is an intricate combination of several joints combined with tendons. This allows you to perform the daily simple tasks such as lifting groceries to more specialized and demanding moves such as pitching a fastball. Bursitis: Bursae are small, fluid-filled sacs located in joints that act as cushions between bones and soft tissues. Inflammation and swelling of the bursa can be caused by excessive use of the shoulder. Tendinitis: Acute or chronic tendinitis is usually a result of a wearing down of the tendon that occurs slowly over time. Can lead to tendon tears. Impingement: Shoulder impingement happens when the top of the shoulder blade puts pressure on the soft tissues as the arm is moved away from the body. It causes pain and limits motion. This can lead to bursitis, tendinitis and a rotator cuff tear. Instability: Shoulder instability occurs from shoulder dislocations that can be partial or a complete. Dislocations can occur repeatedly when ligaments, tendons and muscles around the shoulder become loose or torn. Arthritis: The most common type of arthritis in the shoulder is osteoarthritis. This is a common complaint for middle age individuals. Osteoarthritis develops slowly and becomes increasingly painful. Fracture: Fractures are broken bones and often cause severe pain, swelling and bruising in the shoulder. More serious (and less common) causes of shoulder pain can include tumors, infection and nerve-related problems. Treatment for shoulder pain includes activity changes and physical therapy to help patients improve shoulder strength and flexibility. Medications may also be prescribed to reduce inflammation and pain. Shoulder pain doctors may also apply injections of numbing medications or steroids to relieve shoulder pain. Most patients will respond to simple treatment methods such as changing activities, rest, exercise and medication. In some cases, surgery may be required to resolve some shoulder problems. Some shoulder problems, such as recurring dislocations, cannot be treated with exercise. In these cases, surgery may be recommended fairly early. Depending on your symptoms and diagnosis your doctor may need to repair torn tissues or perform traditional, open procedures for shoulder reconstructions or replacement. to schedule an appointment with the best pain doctor in NYC. Sacroiliac Joint Injections are safe and effective treatments indicated for chronic low back pain that is unresponsive to conservative medical management. The sacroiliac joint lies next to the spine and connects the sacrum to the hip on both sides. It has been shown to be a source of pain in up to 30% of cases of chronic low back pain. Patients with medical conditions such as rheumatoid arthritis, gout, psoriasis, ankylosing spondylitis, fracture, congenital deformity, cancer, or infection can also develop pain in the sacroiliac joint. Pregnant women, people with a leg length discrepancy and patients who have undergone spinal surgery are also at risk for this type of lower back pain. 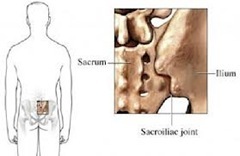 Sacroiliac joint injections involve depositing of medicine, consisting of a mixture of a local anesthetic and a steroid, directly into the joint. These injections can help diagnose the source of pain, because by placing the medicine into the joint, the amount of pain relief experienced will help confirm whether the joint is the source of pain. Complete pain relief in the sacroiliac joint confirms that this area is likely to be the source of pain. Along with the local anesthetic, time-release steroid is also injected into the sacroiliac joint to reduce inflammation, which often provides long-term pain relief. Since the treatment uses locally administered medications, it does not have a widespread effect on the body; rather, only painful areas are targeted, and no systemic side effects are expected. A sacroiliac joint injection is an outpatient procedure performed by a qualified Chronic Pain Specialist who is an expert with the treatment. The patient is initially briefed about the procedure and prepared beforehand so that he is relaxed. The patient is asked to lie face down on his stomach on the radiography table. A pillow may be placed under the hips for patient comfort. The skin overlying the sacroiliac joint is sterilized. After the exact area to be injected is located using live x-ray guidance (fluoroscopy), the skin overlying the joint is numbed with a local anesthetic. 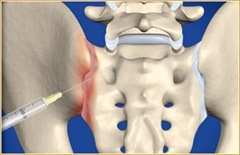 A needle is advanced into the sacroiliac joint. A small amount of water-soluble dye may be injected to confirm proper needle position. Once this is confirmed, a mixture of anesthetic and anti-inflammatory medication (steroid) is injected into the joint space. 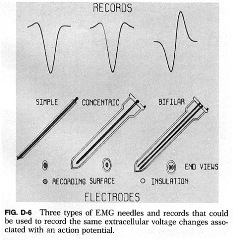 The needle is then slowly withdrawn. A Sacroiliac Joint Injection is a minimally invasive, safe, and effective means of treating low back pain that is unresponsive to other forms of treatment. 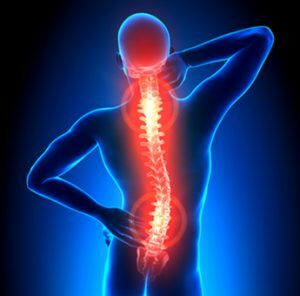 If you want more information about treating chronic low back pain, contact our Pain Management Specialist who will examine you and conduct tests to determine the cause of your back pain. Make an appointment with the NYC’s top board-certified interventional pain management physician to know if sacroiliac injections are a treatment option for you. 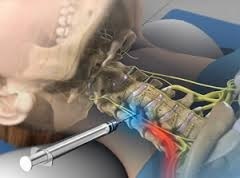 Trigger point injections are used to treat chronic pain in discrete, focal muscle groups in the neck, arms, legs, and lower back. These multiple muscle groups have trigger points, which are hyperirritable knots of muscle that are taut and which fail to relax. These cause local pain, which may also radiate or spread to other parts of the body. 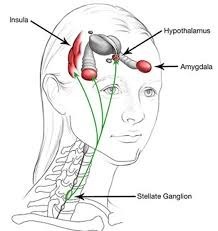 Although trigger points may be treated using nonsteroidal anti-inflammatory drugs, antidepressants, physical therapy and acupuncture, their effects are often short lasting compared to trigger point injections. Trigger point injections may also be used to treat a variety of conditions, including fibromyalgia, tension headaches, temporomandibular joint pain, and myofascial pain syndrome. 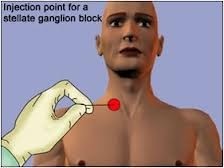 Trigger-point injection is a minimally invasive, safe, and effective way to inactivate trigger points and provide prompt, symptomatic pain relief. The procedure involves inserting a small needle into the patient’s trigger points, which are located in muscle groups in the neck, arms, legs and lower back. 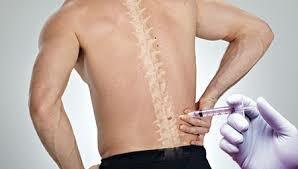 The injection contains a local anesthetic and may include a corticosteroid to reduce inflammation. Usually, a brief course of treatment that is given in a doctor’s office will result in sustained relief. Since the treatment uses locally administered medications, it does not have a widespread effect on the body; rather, only painful areas are targeted, and no systemic side effects are expected. Patients benefit from this procedure because after the injection, trigger points are inactivated and inflammation and pain are reduced for several months, allowing the patient to resume normal activities and undergo rehabilitation or physical therapy while healing takes place. A trigger point injection is an outpatient procedure performed by a qualified Chronic Pain Specialist who is an expert with the treatment. 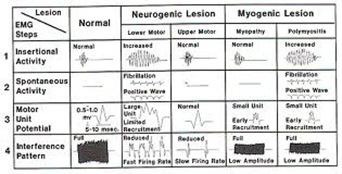 The patient is initially briefed about the procedure and prepared beforehand so that he is relaxed. The patient is placed in a comfortable recumbent position (either prone or supine) to allow muscle relaxation. 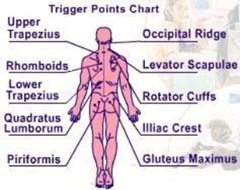 Trigger points are located by palpating the muscles and finding knots under the skin. Once a trigger point is located the overlying skin is cleansed. The doctor isolates the point with a pinch between the thumb and index finger to stabilize it and inserts a needle directed to the point. 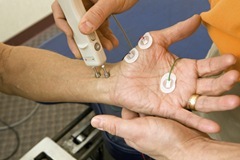 The doctor warns the patient of the possibility of a sharp pain, muscle twitching, or unpleasant sensation when the needle touches the tight muscular band. 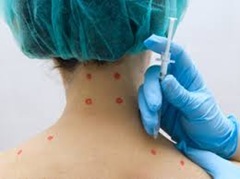 A small amount of local anesthetic is injected into the trigger point. The doctor then withdraws the needle a little and redirects it in different directions under the skin, injecting small amounts of anesthetic in each direction. This is done until the local twitch response is no longer elicited or muscle tautness is no longer felt. Pressure is applied on the skin after the needle is completely withdrawn to stop any bleeding. A simple bandage is applied to cover the area. Post-injection soreness may be experienced, but this is expected to resolve in a few days. Patients are encouraged to remain active, using a full range of motion in the muscles, but are advised to avoid strenuous activity a few days after injection. 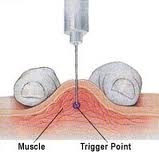 Trigger Point Injection is a minimally invasive, safe, and effective means of treating muscle pain that is unresponsive to other forms of treatment. If you want more information about treating painful trigger points, contact our Pain Management Specialist who will examine you and conduct tests to determine the cause of your pain. Make an appointment with the NYC’s top board-certified interventional pain management physician to know if trigger point injections are a treatment option for you.